Last night began the feast of Purim, which celebrates the deliverance of the Jewish people from one of many of Satan's attempts to purge them from the world. 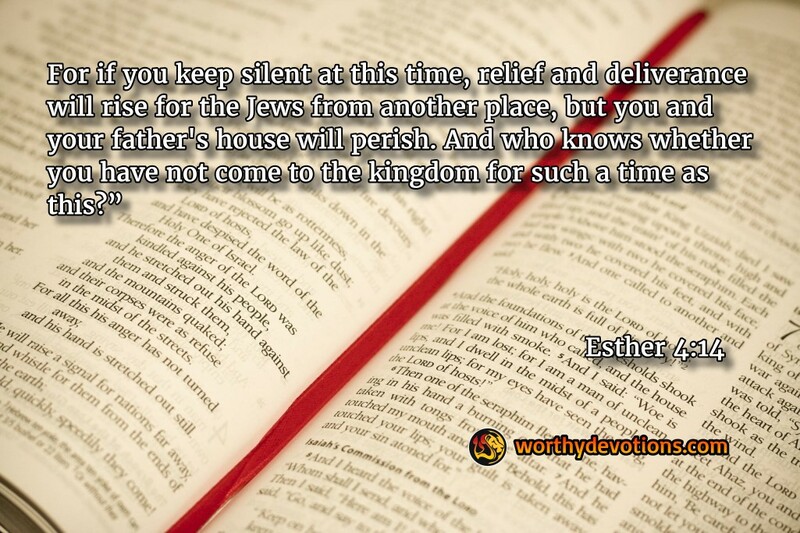 Mordechai gave Esther a great challenge then, "and who knows whether you have come to the kingdom for such as time as this?" This is a challenge for all of us! As each generation is raised up, God appoints men and women to rise up to the challenge of that age. We are alive in this day and in this hour (an amazing day and hour, at that) and God is saying, "Whom shall I send? And who will go for us?" He is awaiting those who will come forward and say "Hineni" here am I, in Hebrew! And if we fall short of this challenge, "deliverance may arise from another place!" Let's not let that happen -- God wants to use us! Let's rise to the occasion! God has great things ahead! Have you given your all?